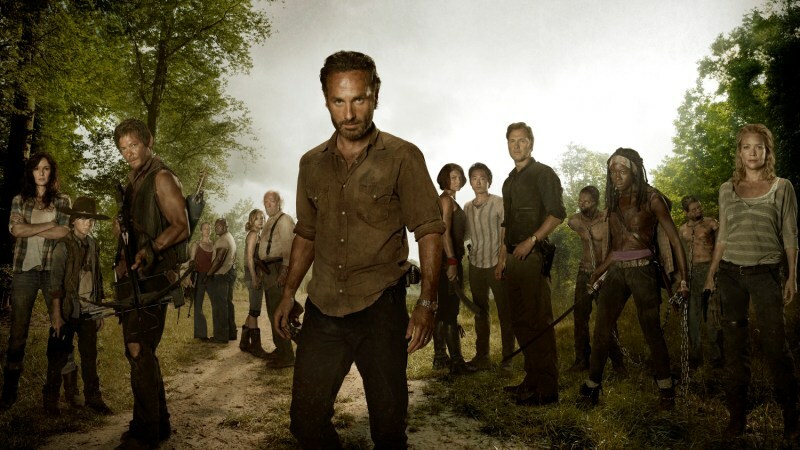 The Walking Dead is one of the most popular shows on television, with viewers across the globe enthralled by the adventures of Rick Grimes and his pals as they try to avoid being eaten by hordes and hordes of brain munchers. With season 7 lurching ever closer and season 6 coming out on DVD and Blu-Ray, we decided to reflect on six seasons of undead action and ask: what have we learned? WARNING: There are spoilers lurking ahead! Rick and the gang have had many homes, all with one thing in common: each was more awful than the one before. The camp from season 1 seemed alright, apart from a zombie invasion. Hershel’s farm was lovely, until that horrible moment in the barn (you know the one), the zombie invasion and the big fire. The prison was great until the Governor rolled up with some tanks, chopped Hershel’s head off and triggered a zombie invasion. Terminus was fantastic until… well, you get the picture. The lesson here is that the grass isn’t always greener on the other side, especially when most people have been driven mad by having to live with zombies 24/7. Considering he started the series alone in an abandoned hospital, Rick Grimes has amassed a remarkably deadly crew. Daryl, Michonne and Carol are exactly the kind of people you’d want by your side in the event of a zombie apocalypse. Good friends are equally important in the non-zombie world. Pick friends who will help you survive the metaphorical zombie attacks in your life. Or ones that make you laugh and won’t judge you for spending an entire day eating pizza and watching The Walking Dead in your pants. Either will do. Case in point: Woodbury and its lovely community leader, Phillip ‘The Governor’ Blake. How great would that place look if you’d just spent half a year scrabbling around the wilderness for food and ammo amongst things that want to eat your brains? Yet it turns out it was even worse than what came before. Not only that, but The Governor went on to practically unleash an army on the gang’s prison fortress. Lesson learned: properly assess an opportunity before blindly going for it. Rick and the gang have gone through some truly horrific stuff: seeing their friends get munched on, seeing their friends get their heads chopped off, seeing their friends… well, you get the picture. It’d be enough to make most of us lie on the ground and not want to move again ever. But not Rick and pals. They keep going, even though they probably realise the next place they’re going will be even worse than the last (see point 2) and at least one of them will die horribly. In short: if they can live in a world full of zombies and keep going, you can keep going too. Even in a world full of rotting fleshbags trying to chomp on everything, the gang still find plenty of time for a little lovin’. Glenn and Maggie, Tyreese and Michonne, Daryl and Carol (kinda…). The lesson? No matter how awful the world gets, love can make it better. Go tell someone you love them today; you never know when zombies might start walking the earth. The sixth season of The Walking Dead is out next week on DVD and Blu-Ray – and we’re selling both at some of the best prices on the web! Click below to pre-order your boxset now. We’re also selling the complete TWD story to date at amazing prices too. These will go quick, so pre-order now to avoid disappointment! ← What will happen in Stranger Things Season 2?